We are merely one month away until the 2016 Chevrolet Camaro officially shows itself to the public and press alike. May 16th is the date, Belle Isle in Detroit is the place. In honor of the rapidly approaching reveal date of the car, we’ve decided to compile ten things we can expect to see from the sixth-generation Camaro. The predictions are based on what we know thus far, but we still believe Chevrolet will surprise us in some ways. A lot of the commotion surrounded Cadillac with the introduction of new engines for the brand, one being GM’s new LGX 3.6-liter V6. The engine will debut in the 2016 CT6, CTS and ATS but it likely won’t stop there. Expect the 2016 Camaro to benefit from the latest V6 technology, which includes a patented “targeted cooling system” to send coolant to the heads and block in the most efficient manner. The engine has been rated at 355 hp and 287 lb-ft of torque in the CT6, and we can expect similar numbers from the 2016 Camaro. We already know how spectacular GM’s Alpha platform translates to driving dynamics, as seen in the Cadillac ATS and CTS. The platform was engineered from the beginning for sublime driving feel, light weight and can support a variety of engine specifications, including forced-induction. The current Camaro’s Zeta bones are simply too bulky, but we’ve seen what clever engineering can make out of it. Just look at the 1LE, ZL1 and Z/28. The platform has been specifically adjusted for the 2016 Camaro to fit the car’s proportions, and features a unique dash-to-axle to support the car’s iconic profile. With the 2016 Camaro riding on Alpha, expect superior driving dynamics, and most importantly, for the car to go on a much needed diet. With the shift to Alpha, the 2016 Camaro’s dimensions will undoubtedly shrink. Expect a shorter front overhang, and tidier bodywork to compliment the car’s newfound weight reduction. General Motors has previously stated the car will weight “at least 200 pounds” lighter than the current Camaro. Most of this was possible thanks to the Alpha platform, but certain areas were examined specifically for the sake of weight. Particularly, the cross-beam that supports the instrument panel is now made from aluminum, a savings of 9.7 pounds. Lighter weight and more power is never a bad recipe. With a smaller package, expect the design of the 2016 Camaro to also offer up aerodynamic capabilities to surpass the outgoing car. Chevrolet has said over nine million hours of computational time has been sunk into the sixth-generation Camaro. Some of those hours were spent of drive time, some on weight reduction and plenty of it was spent ensuring the car isn’t a mass hindered by airflow. A no brainer, really. But, it’s definitely something to expect from the 2016 Camaro. When you combine everything we’ve touched on so far, the 2016 Camaro will be a very compelling driver’s package. It will be lighter, faster and have the best driving dynamics seen in a Camaro to date. And that doesn’t just include the SS model, either. The V6 should be a compelling entry-level engine, and make for a great hustle car for those who skip out on the muscle car. Our gut tells us not to expect a turbo-four, however. 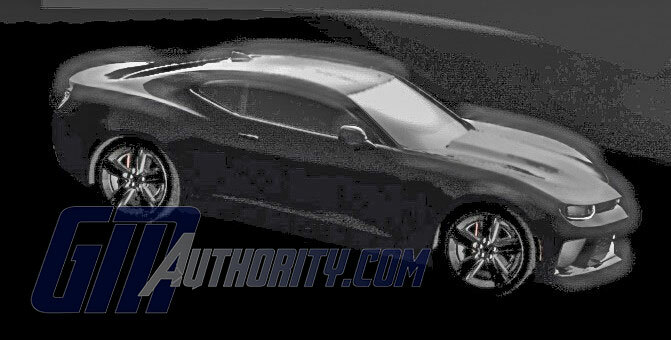 For better, or for worse, don’t expect the 2016 Camaro to get a radical makeover on the outside. Chevrolet won’t mess with success regarding its semi-retro themed look, harkening back to the iconic 1969 Camaro. Do expect a more modern take on the design, with a tad less retro. Especially inside the cockpit. The design will most likely flow very well considering the car’s nimbleness and ability to shed much of the bulk the Zeta platform left it with. This one hasn’t been confirmed, but we have a strong hunch buyers will be able to enjoy at least a simplified version of the PDR system, seen on the C7 Corvette and V-series Cadillacs. The PDR system allows owners with the system to record their lap times and watch it with telemetry overlay displaying speed, RPM, G-readings and much more. It also doubles as a convenient dash cam. We think more than a few perspective Camaro owners would enjoy this technology. The entire Chevrolet lineup offers 4G LTE WiFi capability, so it only seems reasonable the 2016 Camaro will include this as an option for those looking to stay on the grid while parading the latest pony car around town. GM expects 4G LTE capability to pay off big in the near future, so expect even the most driver oriented of Chevrolet vehicles to offer it. The standard of stopping power will continue to be seen on the 2016 Camaro, and should work quite well in concert with the car’s weight loss. Less mass means less force to stop said mass. Chevrolet included a photo of the latest Brembos with its most recent teaser, touting the car’s 28 percent greater structural stiffness. And that’s only ten things to expect from the latest challenger in the pony car war. As we approach the reveal, Chevrolet most likely continue to parse out small bits of info, so stay tuned as we bring you the latest. Just don’t borrow the steering wheel from the corporate shelves this time. Make a new, bespoke one! The Fifth Gen had it’s own and they would have been better off with the corporate one. The original one was based on the show car and was ugly. The based car may get a Corporate but the up levels will still get their own as they already do. and tell me what you see for a steering wheel. This is the Z28, an upper spec Camaro but its steering wheel is basically the same as the ones in a Sonic or a Cruze. And all of current Opels & Vauxhalls. They changed it to that because of complaints of the original one. The original fifth gen was original to this car but was so ugly that the corporate spokes were a welcomed edition. The center is the same but the rim is different. One version even is flat on the bottom. Like I stated they finally had the money to finish the car for once and not short change the interior as much. Lets see what they come up with before we bi$%ch too much. Well most of these are given most of us knew. The things that are not understood will be the level of refinement inside and out. This will be the first Camaro funded to take care of all the car and not run out when they got to the interior etc. The interior will be the real surprise. It’s foolish to think that it won’t go beyond the fifth-gen. The question is by how much? It will not be as much a surprise as you think. It will be bases to say we will see improvement in the interior as we have seen in all the other ground up new GM cars. While the leather quality will not be up to Cadillac levels it should see an improvement on the level of the C6 to the C7. They still have to retain cost but it will not be anything as cheap as we have seen in the past few gens. The 4 is going to be in the car and the GM one can be competitive. The one I have now is right at 300 HP with no issues at 23 pounds of boost. If the car is to go overseas as it will they will have to have the 4 option. The 6 even has a big stigma here too as most people opt for the V8. The V6 is a very good engine but if anyone has performance in mind they spend the extra money anyways. The smaller engines will be key in other markets outside North America. In Fords case they do not even offer the V8 in Europe. The reason the 4 is here is the 130 did not get approved. The other aspect is that many younger people can not afford the insurance on the V8 even if they can afford the car. Never underestimate the Turbo 4 if you have never driven one. These engines are a blast to drive and the only real thing they lack is sound. They sound horrible but will easily dip into the high 13’s in a car that is around 3200 pounds if you can get them to hook up. Wheel spin is the limiting factor in their times in a FWD. That’s true, I once got to drive a 2005 Audi A4 2.0 T (FWD) w/ a 6/speed manual, curb weight around 3,000-3,200 lbs, it was a fun car to drive, I remember I could very easily (and a lot of times unintentionally) leave a lot of cars in the dust when I took off on a green lights, not only that but it returned very good mpg’s, high 20’s w/ mixed driving, so if GM were to do this I wouldn’t be too opposed. But a Camaro w/ an LT1 and 8-speed auto (the one that shifts quicker than manuals) sounds really good to me. Your right, the reason I dont really want a four cylinder is because I was still hoping they’d be making the Code car. Still hoping….. If they do they will have to approve a smaller RWD platform. Right now that is not going to happen as all the Small RWD performance platfroms need to sell at high volume but right now they are not selling all that well. They canceled the Toyota/Scion convertible and are trying some more power that they said was not needed before. I expect the next Gen Camaro will shrink some more and if they do they may have a smaller platform to share at that time. Right now the Alpha can not do it and the investment is too great. You may get a FWD AWD performance coupe but not a RWD at this time. Chevy also did not want to lose any Camaro sales too. Profits are greater on the Camaro as it shares the platform with several others. I had great interest in the 130. I did not like the styling which was never production but I did like the concept for a daily driver that was fun to drive ands economical to daily drive.